Mrs. Jones’ class is THE place to “bee”! Mrs. Jones has a Master’s degree in Curriculum, Instruction, and Technology. She has taught fourth grade since 2000, with her first year at Provost Elementary being 2017-2018. In her free time she likes to sing, play the piano, write and arrange music, knit, and paint realistic art dolls. 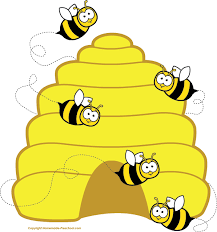 Utah’s nickname is The Beehive State. The state emblem is the beehive. The state star cluster is the beehive cluster. Many of our state symbols were thought up by kids about your age. The rest of our state symbols remind us of the history of the early settlers. The early pioneers were as “busy as a bee” creating beautiful buildings with the stone from canyon quarries, irrigating the desert, and growing a wide variety of crops. This year you will learn all about Utah’s geography, history, and natural environment in fourth grade.